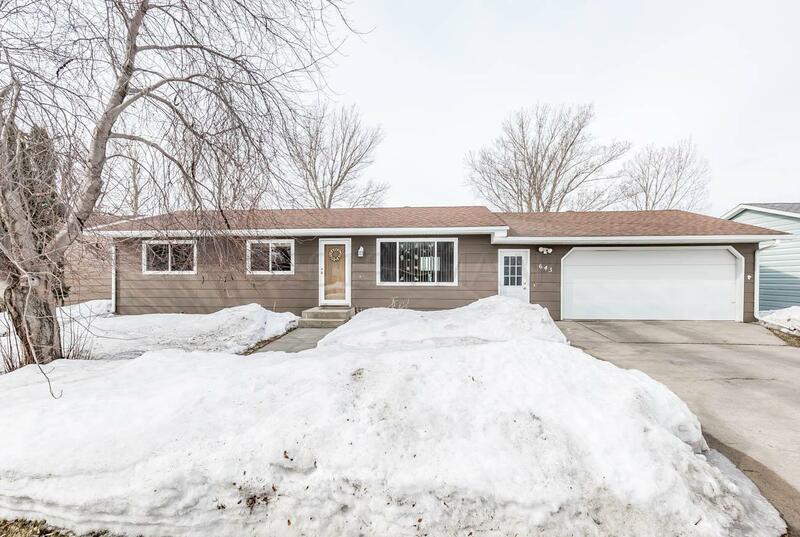 Wonderful rambler in the Morningside development of South Moorhead with no specials, no backyard neighbors and 3 bedrooms on the main floor! Kitchen has granite counters, soft close drawers, tile backsplash, and a newer dishwasher. Tons of natural light and storage throughout. Head downstairs to a spacious family room, bedroom and another full bathroom. Over-sized 2-stall attached garage, HUGE fully-fenced backyard (almost 12,000 square foot lot) with a patio, mature trees, fire pit area, and storage shed - it will be easy to call this place home.